Our prayer is simple, God. That through the work we do and who we are, all we meet would find out what's inside, find you, feel loved and know that they matter. This prayer sums up the whole of Music & Arts Ministry at Trinity, which is a ministry for all ages. 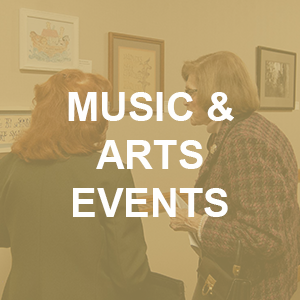 We invite you to join us in our endeavors to grow musically, spiritually, artistically all while being in connection with one another. These values guide our decision-making and direct our energy to serve "Soli Deo Gloria" - To God Alone Be the Glory (J.S. Bach). We believe each one is a conduit for music, the arts and love to flow through. We are always looking to welcome other artists, creators and creatives to join us in the heart of the city to discover ways to live our daily lives from the heart in peace and joy. We have a myriad of opportunities for every age and skill level. 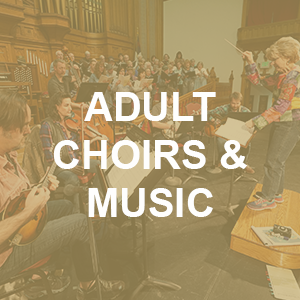 Learn more about Trinity's Adult Choirs, Youth & Children Choirs or upcoming Music & Arts Events. Music & Arts and Contemplative Ministries gather for a delicious meal on Wednesdays before rehearsals and programming. Recently the meal boasted an attendance of 50 people – word is getting out! The Wednesday Night Meal is offered every week unless otherwise announced, and reservations are not required. There is a $3 suggested donation, and Music & Arts Ministry is grateful for any and all donations that help to keep mealtime running. Hope to see you there! 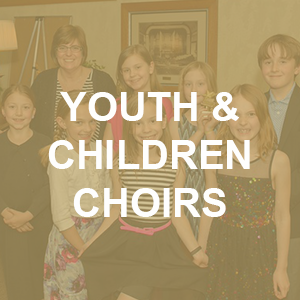 Music & Arts Ministry has the honor and privilege of partnering with amazing musician who provide leadership, direct choirs and ensembles and support the work of our ministry. Learn more about our directors and leadership team! Many Trinity ensembles have recorded throughout the years! Listen to a selection of favorite pieces.